GRAND PRAIRIE – The discovery by Canadian researchers of well-preserved dinosaur remains has proven to be a direct challenge to longstanding evolutionary assumptions. 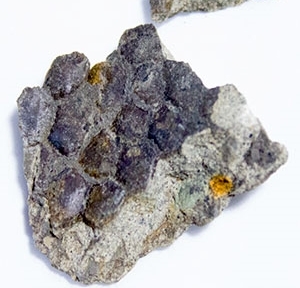 In June of last year, a group of scientists with Canadian Light Source (CLS)—a research team dedicated primarily to studying the composition of matter via synchrotron science—unearthed a fascinating dinosaur fossil in western Alberta. Much to the researchers’ astonishment, a piece of well-preserved dinosaur skin was attached to the hadrosaur fossil. One of the scientists on the team, University of Regina physicist Mauricio Barbi, was thrilled about the discovery, commenting that the specimen could be a key to learning more about what dinosaurs looked like. Barbi also wants to learn more about the theoretical evolution of the hadrosaur from studying this particular fossil. Meanwhile, as some scientists are elated by this discovery’s implications, others are asking a very basic question: How could this dinosaur skin—which, according to evolutionary models, is at least 60 million years old—have possibly remained intact without decaying away? Many Biblical creationists say the answer is simple: It couldn’t have. Brian Thomas, head science writer for the Institute for Creation Research (ICR), recently published an article for ICR, in which he details why it is absurd to believe that dinosaur skin like this could have possibly survived for tens of millions of years. In an interview with Christian News Network, Thomas explained that skin is primarily comprised of collagen, which is a tough, insoluble protein. Despite its resilience, rigorous tests have shown that collagen (like other proteins) decays steadily over time, and—even in ideal, “best case” scenarios—could never last more than one million years. In fact, under realistic conditions, collagen’s maximum “shelf life” is probably closer to 300,000 years. Given the constant decay rate of proteins, Thomas compared the collagen in dinosaur skin to an egg timer. Even though findings like the one in Alberta are rare, Thomas mentioned that there have been several other discoveries of soft tissue and proteins in fossils that are supposedly millions of years old. A list from the ICR website chronicles numerous peer-reviewed journal articles over the years that have reported such findings. On the other hand, a much better explanation for the existence of these animal remains, Thomas remarked, would be the young-earth Creation model. According to this belief, based upon the Scriptures, most dinosaur fossils were buried during the Great Flood around 4,400 years ago. Nevertheless, despite what he sees as mounting evidence, Thomas pointed out that evolutionists still dogmatically claim that these animal remains are millions of years old. “They do, they have, and they will,” he said.